Punched to fit standard three-ring binders or CD case (sold separately). 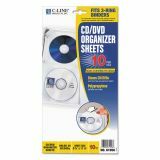 C-Line Deluxe CD Ring Binder Storage Pages, Standard, Stores 4 CDs, 10/PK - Strong, CD/DVD safe polypropylene holders provide ultimate CD/DVD protection. 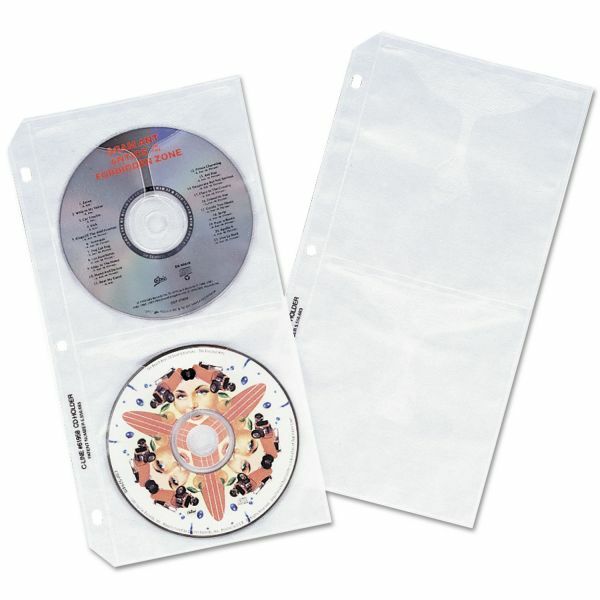 Two-sided, nonwoven material helps clean CDs each time they are placed in holders. Each page is punched for standard three-ring binders. Holds four CDs/DVDs, two front and two back. The tabbed storage binder pages allow you to organize your data storage.